Looking for a used vehicle that won’t break your pocketbook? Look no further than our 1 used vehicles under 15k for sale. 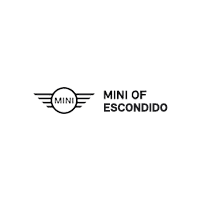 At MINI of Escondido, we want you to feel good about your next used vehicle purchase. That’s why we inspect each vehicle for quality – to ensure that San Diego and Carlsbad drivers aren’t taking home a lemon. Plus, our rotating panel of pre-owned vehicle specials only adds that extra incentive to choose our dealership. Explore our offerings below. Fill out our online finance application form, when you’re ready, to get ahead on the process. We do have a inventory of carefully selected vehicles, of course. But after you’ve picked one of our pre-owned vehicles, you can rely on our service department for routine maintenance. Or, if you’re a DIY servicer, you can just follow our blog; here, we’ll deliver the latest maintenance and service tips for Temecula drivers. So, what are you waiting for? Explore our 1 used vehicles under 15k, and then contact us today.